This beautiful XVII century sandstone tower house was once thought to have been a travellers inn. Lovingly restored to the highest architectural standards, the house is surrounded by 4,000 square metres of garden whilst the interior is beautifully furnished with local antiques. Standing three storeys high, the house sleeps up to six people in three guest bedrooms (one en-suite). A continental breakfast with fresh pastry baked on the premises is included. Guests are invited to enjoy the huge living room/dining room and the garden. This quiet, unspoilt setting is the perfect place to unwind and relax. The tiny hamlet of Valferrara sits within an undulating, hilly landscape of outstanding natural beauty. 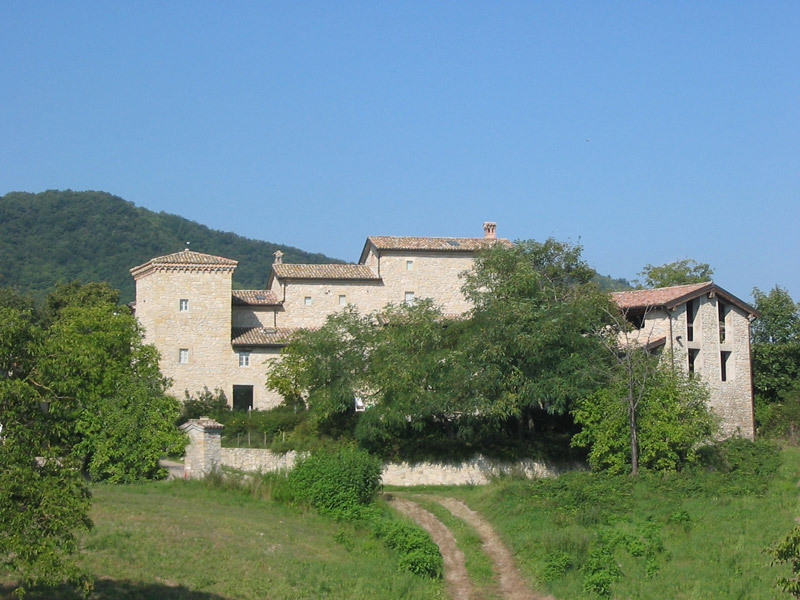 The grounds offer views of the stunning Appenine mountain range and ancient Carpineti castle, one of Countess Mathilda of Canossa’s mediaeval seats. Valferrara and nearby village Pantano lie just 4km (2.5 miles) from the small towns of Carpineti and Casina, where you will find markets, supermarkets, libraries, sports centres and (in Carpineti) a large swimming pool. Private horse-riding stables and a golf course can be found nearby. During the summer numerous musical and cultural events welcome tourists and locals alike. The area offers dozends of restaurants, pizzerias and cafes where you can enjoy the rich Bolognese and Emilian cuisine. For everseas visitors we can, on request, provide guided tours in English and French to the beautiful historical towns of Lucca and Parma. We can also arrange local walks of botanical, historical and geograohical interest, as well as walking or car excursions to historic Canossa castle, ancient hamlets, tower houses, churches and monasteries. One of Italy’s best-kept secrets, this is a region just waiting to be discovered. Located on the edge of the verdant Tuscan-Emilian National Park. This charming XVII century building offers silcence and tranquillity alongside rich cultural heritage.